MPs Geoffrey Dhamuzungu Alex Byarugaba and Silas Aogon at Parliament today. Photo by Beatrice Leni. Members of Parliament’s committee on Natural Resources have demanded that environmental watchdog, National Environment Management Authority (NEMA) explains what became of the ban on polythene bags. Government in 2009 announced a total ban on importation, use and manufacture of the polythene bags, also known as kaveera, of less than 30 microns, however the ban not gone into effect to-date. One of the failures stems from disagreements among implementing agencies, as well as protests from manufacturers and traders in the bags. The manufacturers claim that the ban greatly affects their businesses, while others said that while government insists that only kavera below the 30 microns are banned, there is a blanket ban on all the bags. The Natural Resources committee today addressed the media to raise concerns over the delay to implement the ban, even as neighbouring Kenya effected a similar decision their last month. Committee chairman, Alex Byarugaba told journalists at Parliament that NEMA has failed to implement the ban on kavera, which has proven to be a hazardous problem to the environment and the health of Ugandans. “There is no law that has been amended regarding the ban on kavera. 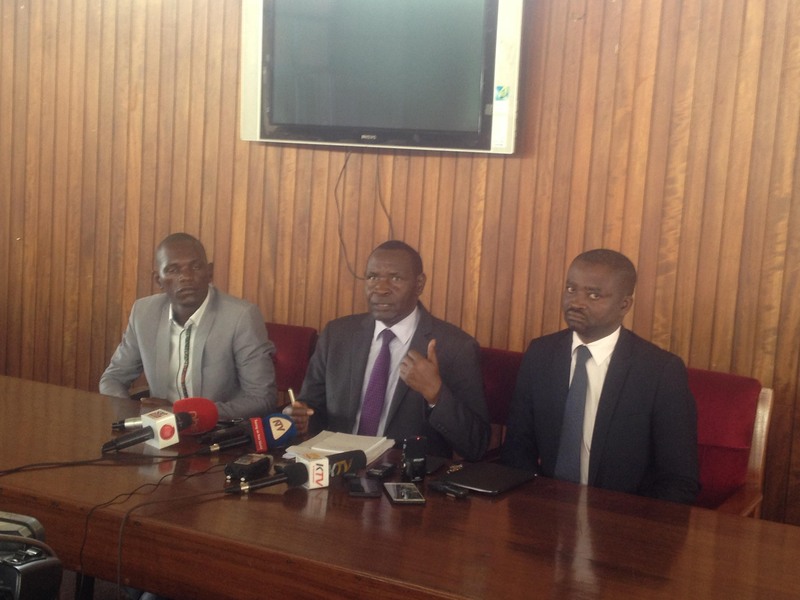 We feel that NEMA is not doing its role,” Byarugaba said. Even though government tried to effect the ban in 2015 through raiding supermarkets and markets which use the kaveera, Byarugaba said there is no real political will to handle the matter. While announcing its ban, Kenya’s NEMA warned that those found using plastic bags would be jailed for up to four years, and slapped with a fine of over Shs 100,000. This, according to Kumi Municipality MP, Silas Aogon, is a great move and said Uganda should emulate countries like Rwanda which is a success story in the ban of plastic bags. He also accused manufacturing companies of failing government by insisting on defying the directive, asking them to instead look for other areas to invest in. Tororo South MP, Richard Angura, on the other hand asked citizens to use the opportunity to venture into the arts and crafts industry, in order to also make sustainable bags in place of plastic bags. He said this would not only save the environment but generate income for Ugandans.